“I haven’t even been at The Grove for a week yet, and I already see a huge difference in myself. The therapy department is very professional and I am feeling much stronger already. 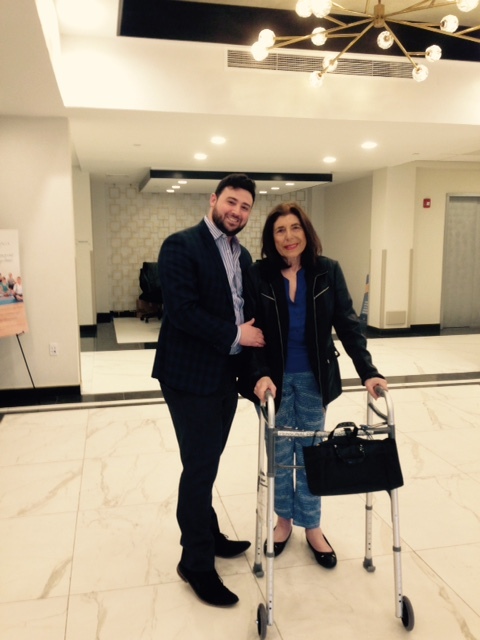 I can’t wait for what else is to come.” – Robert R.
“The Grove helped me recover after four months in the hospital. They have professional, caring staff and administrators.Thank you for helping me get home and putting my life back together.” -Peter S.
“I’m greatly enjoying my stay here at The Grove. My experience thus far is better than I expected. 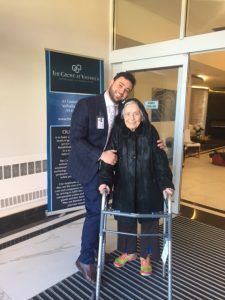 The staff are warm and friendly and I’m recovering faster than was projected.” – Peter S.
Your kindness and generosity shown towards Matty during his stay here was truly wonderful! Not to mention the many ‘Big Hearts,’ smiles and friendships along the way. We will be forever grateful for the extra special care and compassion given to us, and will continue to hold memories of fondness towards each and everyone of you. Your thoughtfulness was a huge blessing for Matt. “The people here really care. My nurses were very kind, always addressing my needs and requests in a timely fashion. Especially my nurse, Abdul. Not only would he immediately help me with what I needed, he continuously would go the ‘extra mile.’ The rehab services were very good, too. The exercises were fun and challenging. Charles, my therapist, worked me hard and well. He cared and made sure I made all the progress I could, and even more than I expected.” – Ervin Y. “The staff and services were excellent! Personal needs were met in a timely manner and the staff went out of their way to address personal requests. The administration staff were very accommodating and approachable. This is my second time here. The first was a little over two years ago. I chose this place because of the good experience I had; very happy to have chosen it again. The facility is newly renovated, it’s beautiful and the staff are making a great effort in personalizing their care and services. They were willing to make adjustments to fit my personal needs. The Grove is highly recommendable for anyone in need of great rehab and nursing care.” – Patricia S.
“The rehab department was absolutely wonderful and the nursing department was equally good. My mom was here two times in the past year, we are extremely happy with their services.” – Patricia C.
“I had a wonderful experience here, my needs were properly met. They answered the call bell within a reasonable response time. I’m going home in much better condition, the therapy was amazingly helpful. The renovations are coming along beautiful, can only imagine what it will look like once it’s entirely completed.” – Linda E.
“Marvelous. The therapy was 100% . I don’t like to compare to other places, but the care and therapy here sets them a part. I hope my husband will never need more therapy, but we will come back here if he ever does; we will return to The Grove.” – Bibiana B. “I was treated very well here. The staff were helpful and professional. My room was comfortable, clean and nice. I was here for about a month and left in a much healthier and stronger condition. I only have positive and happy things to say about The Grove.” – Antonio. C.
“The staff at The Grove do their job well, with great compassion. From the housekeeper to the doctor, everyone was extremely attentive to my needs; they took care of me very well. There’s no place like home, but this substituted really well. 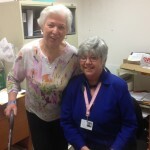 They treated me like I was home.” – Rita K.
“I leave today with my spirits filled with joy and gratitude. This is my second time at The Grove for short term rehab. I had a wonderful experience my first time here, but this recent stay was far better than I expected. The renovations are coming along beautiful and all the staff were so friendly and courteous. Always willing to accommodate my needs and requests and were always available. As my walking and strength improved, my therapist would take me on leisure walks around their beautiful campus, when the weather was nice. Thank you to all the kind staff of The Grove for helping me recover and heal.” – Venice C.
“I had an outstanding recovery and healing experience at The Grove. I expected it to be good, but it was better than great. Four months ago, I had to amputate my left leg. I was two months in Montefiore and then went to an acute rehab center for a month, Burke. The therapy at Burke was really good, but the therapy I received at The Grove was even better. They helped me get to the next level. The rehab staff are very professional, compassionate and experienced. They trained me with my prosthetic use and I’m now able to walk with a cane for long periods of time and can climb three flights of stairs! They also have an additional amputee walking school program, operated by two amputee athletes, Todd and Dennis who helped motivate and train me with my new prosthetic. The nursing staff were very kind and gentle, the people here are very nice. I hope to never need their services again, but if I do, I’ll be coming back. I’ve been away from home for four months, I feel very safe now to return home knowing that I’m independent once again. I feel like a new man now.” – Victor G.
“The Grove services were wonderful, well beyond what I expected. I honestly did not think I would be able to recover to the extant I did. The fact that I’m able to walk out after two months of rehab and care is a testament to the outstanding medical and therapeutic services of The Grove. In addition to having a clinically exceptional experience, staff made sure that my stay was comfortable and pleasant. If felt like a home away from home.” – Robert P.
“I had nothing but a pleasant and problem-free experience at The Grove. The nurses are very compassionate and kind. The physical and occupational therapy program is outstanding. They did a great job helping me get back on my feet. I would definitely recommend this place for anyone in need of short term care.” – Thomas H.
“This is my second time at this facility. I was here last four years ago, I had a good experience then, but my recent stay has been so much better. The community as whole has improved. The renovations are beautiful, the staff are extremely caring and the therapy is wonderful. I’m happy I chose this place again. So thankful to all the staff.” – David J. “This is my second time here at The Grove. The rehab and nursing care is excellent, but that should be expected. What really surprised me is how much the staff ensure that while I’m here I should experience the joy of the holiday season. They arranged a beautiful holiday event. I was not expecting to have celebrated Hanukkah this year, I was so moved by the communal celebration; it felt like home.” – Claire K.
“Here at The Grove, the staff are very intuitive to my needs and the needs of all the residents, and listen patiently when I voice concerns and preferences. They are empathetic and caring, constantly paying attention to the small and big picture. The staff have the heart required for this job. The rehab department has helped me regain significant strength and function. This was my first round with a rehab facility, and I’m glad my family chose The Grove. I don’t think we could have found a better place.” – Alvin K.
“Today is my final day of working here at The Grove, originally the Hebrew Home of Westchester. As a member of the nursing staff, I had the wonderful opportunity to care for residents and patients for 19 years! I’m very proud to be part of The Grove/CareRite, and forever grateful to this wonderful organization and community. I’ve seen significant improvement in all aspects related to the center since I’ve been here. The administration, department heads and staff on all levels work beautifully together as a team to provide excellent care and services to our residents and families. I am very honored to have been a contributing team member. I’m looking forward to my retirement, but you’ll always remain on my heart and mind.” – Laurine M.
“I have only the best things to say about The Grove. I have been to a number of other rehab facilities and I rate The Grove as the best rehab I’ve been to. The care was wonderful; the nursing staff are very caring and friendly. The rehab was excellent! The facility is exceptionally nice and clean and the room was very spacious and nicely renovated! I had a very comfortable stay. I’m extremely glad to have chosen this place to heal and recover. Thank you!” – Clarence C.
Ms. Lerner loved her stay at The Grove and we are so proud of her accomplishments in continuing her road to full recovery. See below for a beautiful testimonial! “Everything was excellent at The Grove- it was like a Spa! 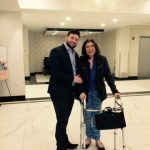 The rehabilitation was excellent – that is why I can walk now! All of the therapists in rehab are good workers. I enjoyed going to the activities and I made a beautiful painting. I will miss all of the people here when I go home.” – Jennifer R.
“I am going home today- and could not be more thankful to the staff at The Grove. When I arrived, I couldn’t walk, talk, stand, breathe, drink or even eat real food. Today, I am proudly walking out of The Grove being able to do EVERY SINGLE ONE of those! I feel good, look good and I am so appreciative that a place like this exists. I want to publicly thank a few select people for being so special and getting me where I am today: Jessica, my OT, Radian my PT and Brian, my speech language pathologist. They gave me a new lease on life. 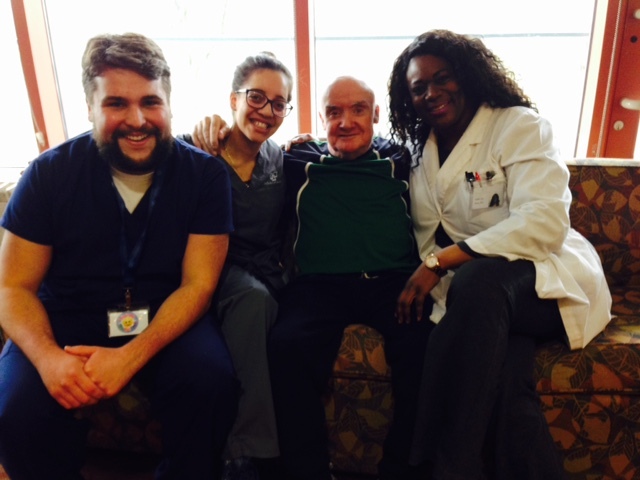 Thank you!” – Frances M.
(L-R): Brian, Jessica, Frances, and Radian. “The Nurses on my unit are great! All are friendly, kind and helpful. One nurse even waited at the end of her shift to be able to say hi to me on my return from the hospital! Needless to say, they made a great impression on me.” -Willima W.
“The facility has seen major improvements and upgrades. 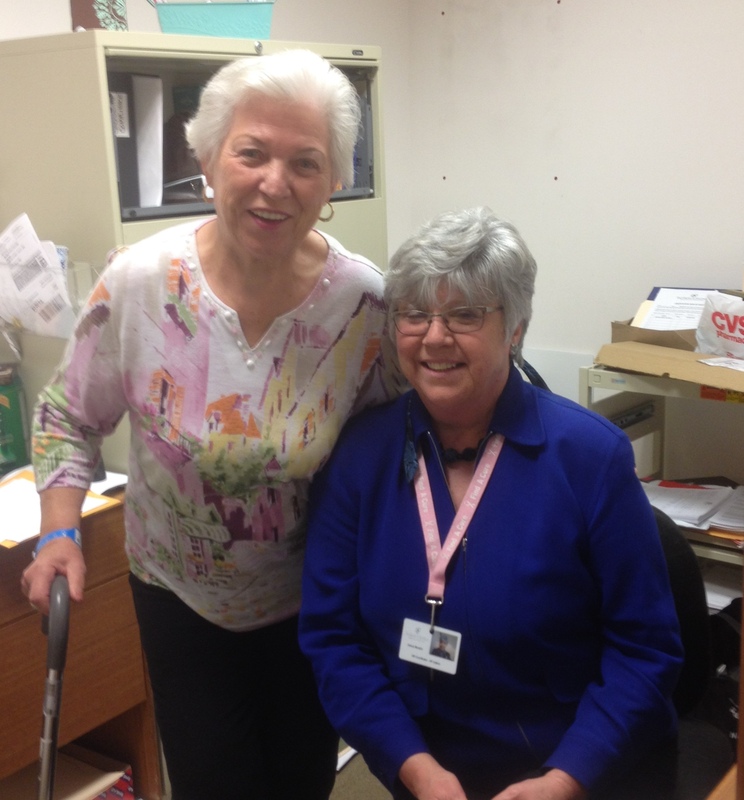 I am here for short term rehab and the therapy has been wonderful.” – Connie B. “Two of my CNA’s – one on the day shift and one on the overnight shift- are angels. They are the nicest, sweetest, caring people I have ever met!” – Leah A. “The nursing staff at The Grove are all super kind. They are good people.” – Carol D.
“I arrived at The Grove Last night. 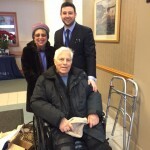 It’s my second time in a skilled nursing facility- and this time around is far better. All the staff were kind, helpful and accommodating. I feel very relaxed and comfortable here.” – Juan C.
“The food at The Grove is good. 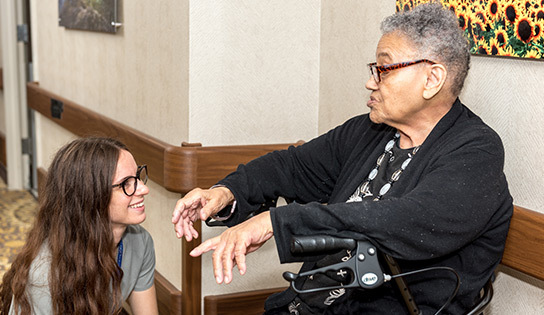 The staff are really nice and I’ve made real friends with some of the other residents here.” – Victoria D.
“The therapy at The Grove was golden. Shirley, Brooke and Jessica- all amazing. I went for a follow up appointment by my surgeon, and he told me that my leg looks great and was amazed at the progress I’ve made at The Grove. Other skilled nursing rehab facilities don’t compare!” – Jeffrey D.
“I wish I would have known of The Grove earlier…it is by far the best facility I’ve ever been to. The Therapy department here was amazing! And the nurses were all so kind and caring. Thank you for helping me get back so soon!” – Tina M.
“The people in rehab are terrific. The staff are all very caring. The therapy department built up my upper body strength and helped me get ready to go home. I am very grateful.” – Marie B. “I’ve never been to a SNF before. Everyone makes me feel so comfortable. I’d rate it a 10! The Grove delivers a personalized, wonderful experience.” – Lawrence A. “When I came in to The Grove, my legs were not working at all. I was scared of everything. 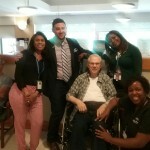 But, I was immediately embraced by the nursing, therapy and administration staff. I found confidence at The Grove. I found care, compassion and a sense of security. Everyone had my back. They took me by the hand and led me down the road of wellness and recovery.” – John T.
“I laughed, I cried, it became a part of me; The Grove at Valhalla. I like my stay very much so far. All have been wonderful to me.” – Kevin H.
“The Nursing staff at The Grove are all wonderful! 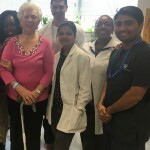 Everyone connected to The Grove have been wonderful with me.” -Ursela M.
I know we may not be able to supply you with all the names of those who cared for resident Antoinette C., but there were many. We appreciate the help and care given by your staff especially under the supervision of RN Donna. She was very efficient and caring. Thank you to an efficient nursing staff for helping with the meals as well. Thank you to the amazing group at your Physical Therapy Department as well, especially Jessica and Sajen, who thoroughly cared. And thank you to Ann, our social worker, who guided and helped with all our concerns. We certainly appreciate it all. Many thanks to the help of your Activities Dept. for our mom was able to hear music and laugh too, but we are especially grateful that she was able to attend the Catholic mass, which is so very important to her. Thank you to an efficient nursing staff for helping with the meals as well. 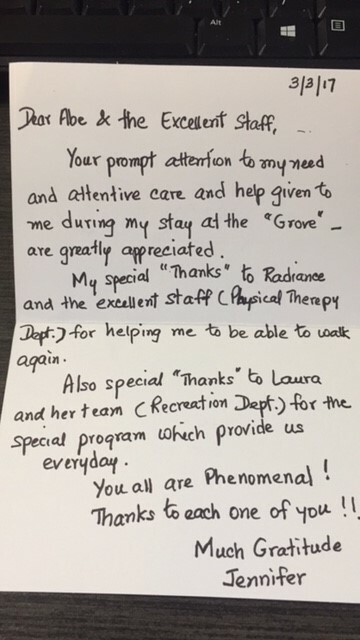 See below for a beautiful testimonial letter, sent to our Administrator, by the family and friends of a long term resident who recently passed away, after a long, fruitful, fulfilling stay at The Grove. Our dear friend Eleanor Korchma passed away on July 22, 2016 after residing at The Grove for almost 14 years. 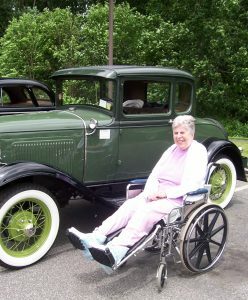 Eleanor was blessed to have received excellent care from every member of your staff. They truly in every sense of the word became her family. It is common knowledge of 1N that Eleanor “ranked” all the amazing women who worked with her. Everyone was ranked a number, 1, 2, or 3. These rankings made for fun conversation, quite a few laughs, and a little bit of healthy competition! While there is no doubt that every staff member of 1N was amazing, there are 4 that stood out as Eleanor’s “number 1s” – Marcie, Angela, Ava, and Pauline. To say they are amazing is an understatement. These exceptional women always went above and beyond to treat Eleanor with kindness and compassion. From day one until the moment she passed, these women brought a daily dose of sunshine and laughter into Eleanor’s life. Marcie, Angela, Ava, and Pauline along with everyone at The Grove deserves great things in life for how they care for and help others. They are a true credit to the nursing profession. Our family will forever be grateful for the care that Eleanor received. It is comforting to know that Eleanor was treated with the utmost respect and dignity, while being surrounded with friendship, love, and laughs. Our family is forever indebted to all who work at The Grove. “The therapy is great at The Grove. When I arrived, I couldn’t walk. Today I walked without my walker! Syd and Rich are great.” – Eugene T.
“Therapy at The Grove has been good. The nurses are good and it’s been a wonderful experience. I am very pleased with my stay so far.” -Patricia A. “The staff was attentive to all my needs. The Nurses and Aids were all great. Therapy was helpful and along with my motivation, they got me walking again. Thanks!” -Thomas T.
“I participated and enjoyed the music program with Nathan.” – Giacomo D.
“Therapy was excellent. My therapist was kind, considerate, gentle and thoughtful. Thanks!” – Marion J. “Thank you Abe for bringing me a special dinner last night. I enjoyed it immensely and it was very thoughtful of you.” Mary C.
“The nurses here are great.” -Beatrice G.
“Therapy is good! And the nurses take good care of me.” – Stephen R.
“I like therapy a lot. The staff there treat me well.” -Evelyn R.
“The staff at The Grove are all really really nice to me. They already know exactly what I like to eat and it’s a good feeling.” -Charlene C.
“I enjoyed my stay at The Grove immensely. Janice, the Director of HR, is like a second sister to me. She’s a wonderful person, and along with the rest of the staff here, made me feel like family. The therapists were amazing! My son called me yesterday and said, ‘Mom, in all the three months you were at The Grove, you never once asked to be taken home. 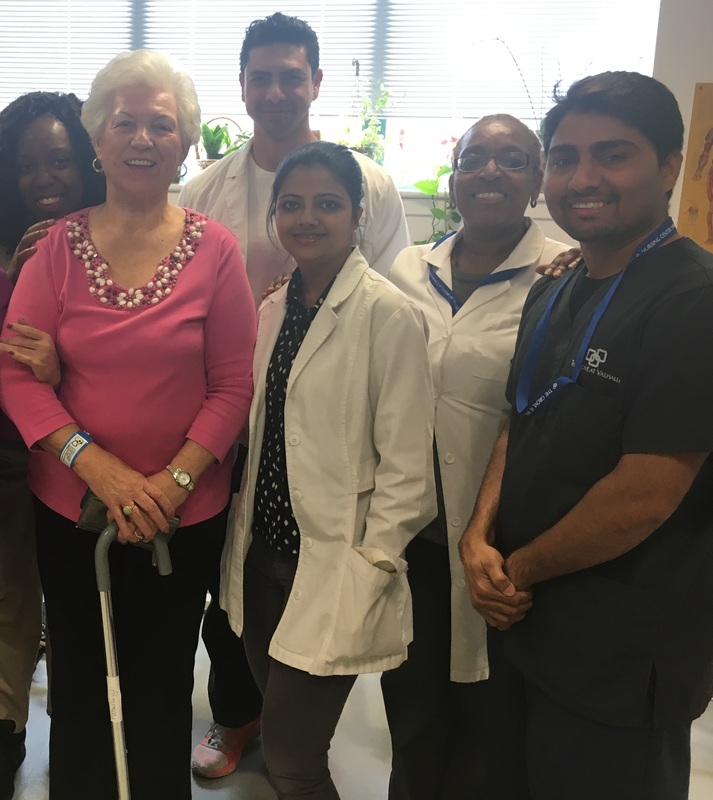 That’s amazing.’ I’m going to miss all of you.” – Dorothea R.
Left to right: (picture 1) Dorothea and Janice Murphy, Director of HR at The Grove and (picture 2) Dorothea with The Director of Rehabilitation at The Grove, Ramon Lerma, and some of her rehabilitation therapists. “The food at The Grove is good! Thanks!” -Beatrice G.
“I like therapy a lot. 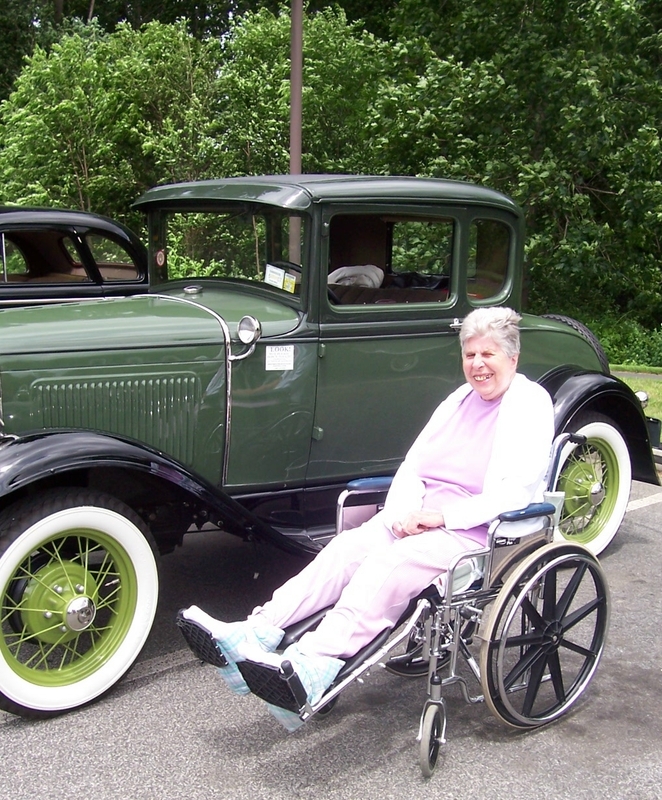 The staff here treat me well.” – Evelyn R.
“All the therapy is great. They work me hard. It’s A1!” -Dorothea R.
“The therapy here at The Grove is the best. Ive been to many facilities with rehab, and The Grove is by far on top.” -Louis D.
“The Nursing staff on unit 2 South are all nice. They all treated me with smiles and made me feel very comfortable. PT and OT were great! They got me back on my feet. The food was excellent as well. Ms Hutton was very pleased with her experience here. She would like us all to go visit her and sends her tremendous gratitude and ‘thank you’ to the entire team. Justina and I wheeled Ms. Hutton right back down the hill today, ending her rehab experience with door to door service from her social worker and Concierge. “My daughter came to look at The Grove, when we were searching for an appropriate SNF for my husband. She was so pleased with the Tour she got. From the environment, pleasant demeanor of the staff and general atmosphere. My husband was put on the 2N unit. 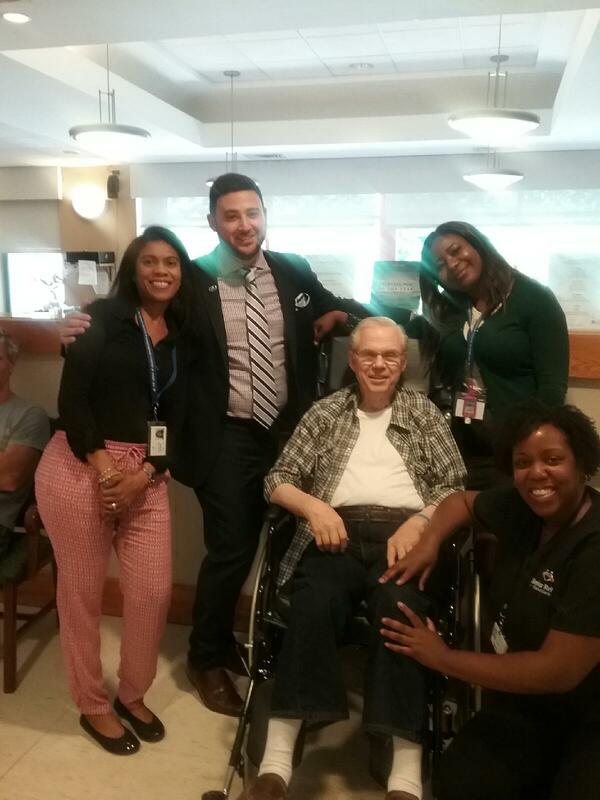 The staff there are all pleasant, have nice attitudes, and show care and compassion for the residents. The Therapy is excellent. He has made huge strides in his movement and walking. His posture has improved as well. My husband, who at times has been negative on his attitude towards life, has made a complete turnaround. Since he arrived to The Grove, I’ve seen a total transformation in his demeanor and I am overly pleased by this. When I arrive to visit, the reception from staff is friendly and welcoming. It’s always so warm- so it’s no wonder he is doing this well. “The Grove has successfully put together a team of professionals who address the initial and continuous change of their clients’ wants and needs. The residents get care from A-Z, which is beneficial to ones growth and rejuvenation both physically and mentally. 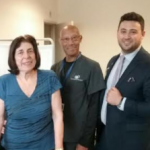 The Grove is a ‘wellness machine’ in the sense that the facility is continuously maintained to tailor fit each specific residents needs.I arrived at The Grove as a subacute resident and was provided the necessary tools to help me get back to my regular daily routine. I have been on the receiving end of the care given here and can personally attest to it! Take Abe, the Assistant Administrator and Director of Concierge for example. Besides excelling at his job and helping me communicate with the entire team on a daily basis, he projected a strong, positive and supportive feeling with every encounter he had with me. It was the same emotion radiated by every member of the Team here and was extremely important and helpful for the success of my wellness journey. The Grove was helpful to me both physically and mentally; the staff here is very supportive and motivating. Progress is experienced on a daily basis. Abraham, my therapist, was absolutely amazing, as all the rest of the staff that have worked with me have been.